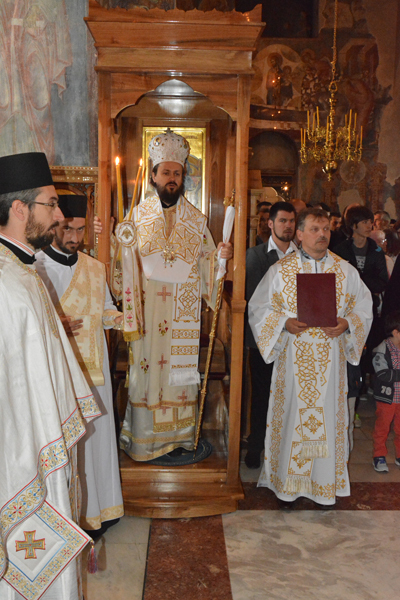 Monastery Zica, the first see of the Serbian Archbishopric, celebrated its Church Slava, the Ascension of our Lord, with the celebration of the Holy Eucharist in the ancient church, officiated by His Grace Bishop Maxim of Western America. Concelebrating were His Grace Bishop Justin of Zica and retired Bishop Atanasije of Hercegovina as well as Archimandrite Tikhon, abbot of Studenica Monastery, together with diocesan clergy and monastics. Many of the faithful gathered from throughout the diocese, as well as guests from monasteries: Chelije Piperske (Montenegro), Kovil near Ivanjica and Nikolje of Ovcar-Kablar, all of whom were joyfully welcomed by Abbess Jelena and the monastery sisterhood. 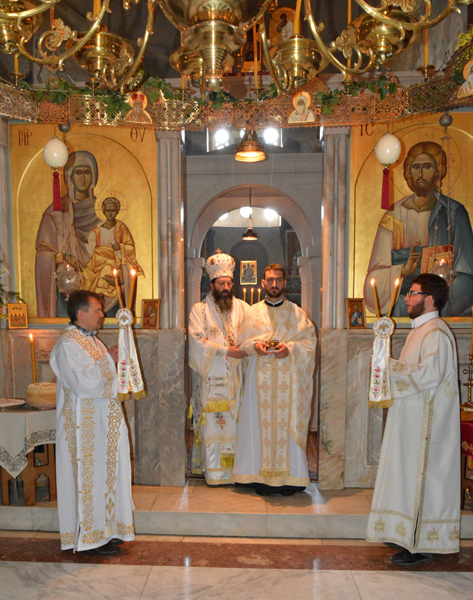 During the liturgy Bishop Justin ordained Deacon Bojan Sujic from Raska to the rank of Priest. In his festal homily Bishop Maxim said: Today, gathered in this church, we celebrate the feast of the exaltation of Christ and our's with Him to the very bosom of the Diety for Christ is equal in honor to God the Father, Him who is of the same honor and same divinity with the Father, on whose right hand he sits in His glory. This feast is, as every other feast is in our Orthodox Church, a bridging, joining of the divided, a bridging of all chasms. 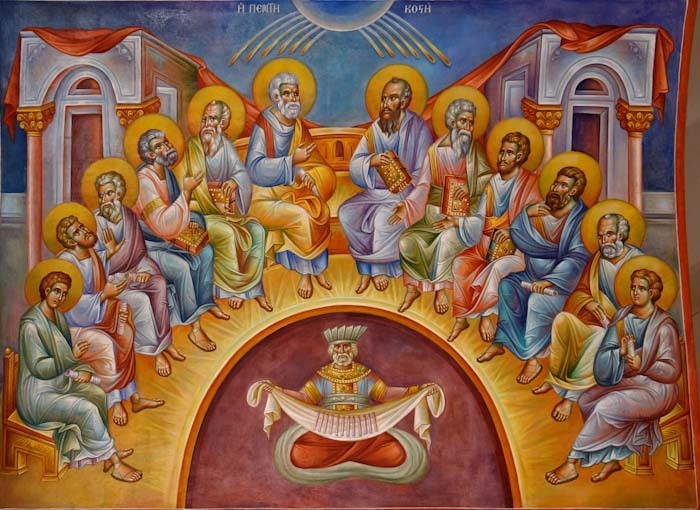 So that today's gospel we hear how Christ dines with the Apostles and His promise that the Holy Spirit will come and be with them to fulfill His apparent absence. This is why Christ ascended and the first Christians asked, where is He now? At the same time, they found the answer in their services in which they glorified Him, as Him who sits at the right hand of the Father. This is the foundation of our church services and our celebration." The bishop added: "Christ became invisible so that we don't lose Him. He ascended so that the Apostles and all Christians would not seek and guess where is He. That they wouldn't say He is here or there. On the contrary, He leaves the Spirit, the Comforter, who in salvific and realistic manner makes Christ present, that He be with us always and forever." 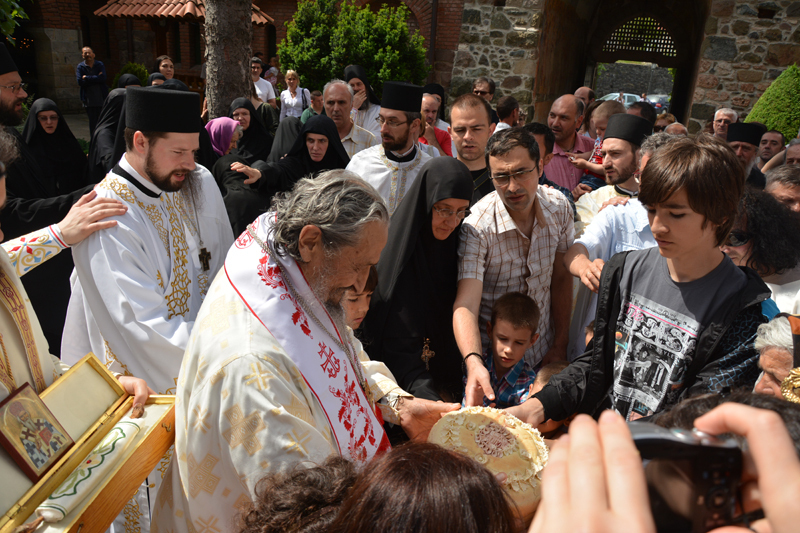 After the Litiya around the church, the Slava kolach was blessed by Bishop Atanasije, with many children gathered in joy and celebration around him.